I have a lot of respect for small businesses and their owners, especially here in Malaysia and all over South East Asia. The odds are stacked against them as they try to build a business in an environment that should favour them but because of conservative attitudes and the legacies left behind by unscrupulous operators in the past, they are up against it and many of them don’t make it. Even those that do make it do little more than survive. Furthermore, competition is growing, not just from local competitors but from international ones as well. Rents are rising and real estate is expensive; banks are reluctant to take any risk, no matter how low, talent is hard to find and quite often entrepreneurs are unable to communicate in English due to ever changing education policies or a vernacular education. Plus, here in Malaysia, government subsidies on fuel and other commodities are probably going to be lifted or even abolished. Finally, AFTA means the market may be swamped by cheap products from other regional, less expensive countries. But despite these and many other issues, depending who you listen to, small and medium sized industries, enterprises and businesses represent up to 99.2% of the Malaysian economic establishment and these organisations are therefore the engine room of the economy. And although the SME contribution to gross domestic product has been almost flat for the last 8 years, rising from 29% in 2000 to 31.4% in 2008, the sector still has a major role to play in the economy. This is particularly true of the service sector which is the most progressive in terms of SME development. So it is good to hear that the National SME Development Council has approved the establishment of a special unit responsible for SMEs at a number of agencies and ministries. Under the Integrated Action Plan 2009/2010, 354 programmes will be implemented this year with financial commitments totalling RM6.02 billion (S$2.48billion). Roughly RM3.3 billion has been allocated for the development of SMEs in the services sector in line with the government’s aim of developing Malaysia into a high-income economy. 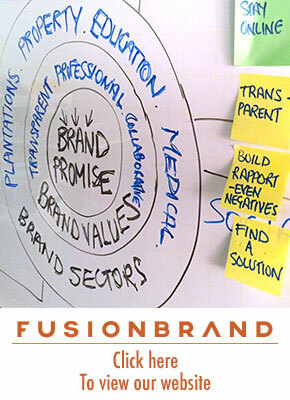 So should these SMEs be bothered about brand building? Well, in many ways the concept of branding is even more important to small companies than it is to big companies. But obviously they don’t have the resources of a Multi National Corporation (MNC) so they need to be selective on what they address. One area that SMEs can improve significantly with very little investment is their communications. There is a lot of truth in the saying, you never get a second chance to make a first impression. So your communications must leave a positive first impression. Another mistake SMEs make is that they believe volume is best. They believe that they must have a database with as many names as possible. And once they have that DB they must blast out the same message to everyone on it on an almost daily basis! Negative. The first step in your prospecting process is to qualify all leads to determine any interest level. There is no easy way to do this. It takes old fashioned hard work. Fortunately in Asia privacy laws are limited or even non existent so cold calling is acceptable but of course you need to have a strategy to get past gatekeepers. Spend some time writing an introductory email. It doesn’t need to be long but if it is targetted and well written, even if the service or product offered is not required, the email may be stored in a resources folder for later reference. Once you’ve identified your prospects and segmented your DB, use email not to try and sell a product but to make an appointment. Few people are going to buy from a mass email but you may get a reply to the email or some recognition when you follow up the email with a call. 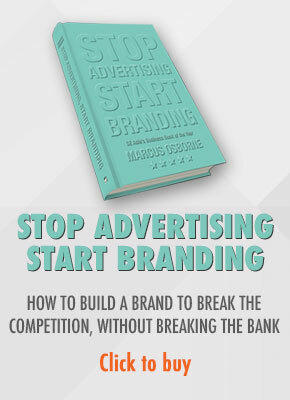 The worst mistake any company can make, SME or MNC is to start their brand development with an advertising campaign. Branding is a journey, advertising is a pit stop on that journey, nothing more. Now I know you want to see your name on a billboard on the highway or a full page advertisement in the national newspaper so that you can announce to all your friends, business associates and clients that you have arrived but think about it, how effective is this going to be? Do you really want to waste that money? (There are exceptions to this rule, but very few). If you do intend to advertise, make the copy relevant to the consumers you intend to communicate with and only use channels that users of your product are familiar with and engaged by. If you follow these simple suggestions, you may have a chance of being one of the few SMEs that survive and possibly even thrive.